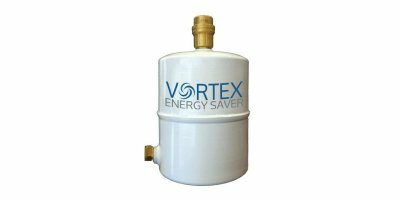 Vortex Energy Saver works in a very simple way by harnessing phenomena created by the circulating pump. As the water enters the Vortex Energy Saver the action of the pump causes it to spin into a vortex. In the middle of the vortex there is a low pressure zone which is sufficient to draw the dissolved air from solution. 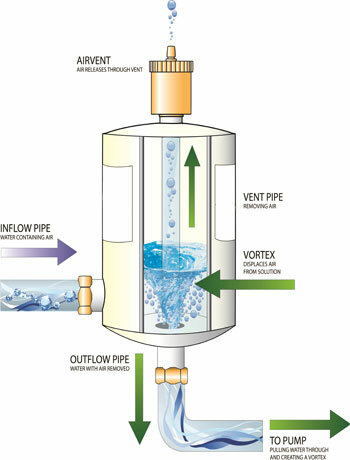 As the water reaches the outlet of the Vortex Energy Saver the action of the vortex increases and the bubbles of air, now out of solution, rise upwards and are collected through a dip tube to be released from the system through an air vent. 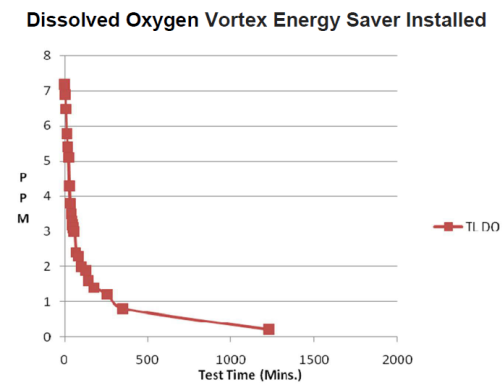 By eliminating oxygen from the system to an inert level, the Vortex Energy Saver, greatly reduces the incidences of corrosion. 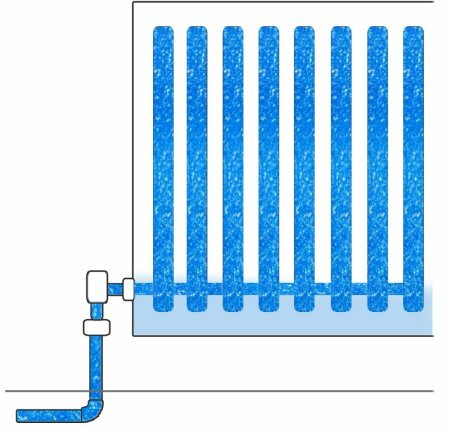 Corrosion causes rusting of the radiators, pipes and boiler, creating corrosion residue (sludge) and even holes. Water from our mains is infused with air and can typically hold roughly 2.5% of its volume as dissolved air.Henry's Law states: 'the solubility of a gas in a liquid is directly proportional to the partial pressure of the gas above the liquid'. The Vortex combines the physics of Henry's Law and Vortex technology to remove the air from the water in a wet central heating system resulting in substantial energy savings and reduction in heating bills. Our smart energy saving device to remove dissolved Oxygen and prevent corrosion in a heating system has been fully tested by Tralee Institute Of Technology over a two year period. The reports demonstrate the reducing of Oxygen levels in a heating system down to an inert level and resulting in substantial energy savings and reduction in heating bills. 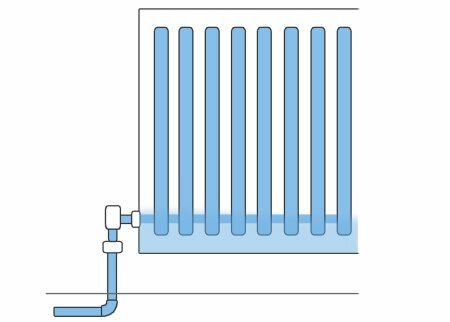 The removal of the dissolved Oxygen will also prevent corrosion and as stated by The Energy Saving Trust can prevent a further reduction of up to 15% efficiency of the heating system. 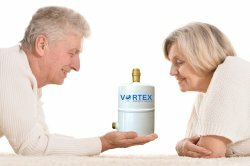 No reviews were found for Vortex Energy Saver - Domestic Heating Systems. Be the first to review!